Collision repairers will encounter major changes in the structure of the next-generation 2020 Subaru Legacy compared to the 2019 model, including what the OEM said was an 13 percent increase in ultra-high-strength steel. Subaru on Thursday said the 2020 Legacy received an “optimized” version of the OEM’s Subaru Global Platform repairers first encountered on the 2017 Impreza — including a what Subaru said was 371 percent increase in structural adhesive over the 2017 version of the platform. This and the ultra-high-strength steel contributed to a 2020 Legacy with 100 percent more front lateral flexural and rear subframe stiffness and 70 percent torsional and front suspension rigidity over the 2019 edition. The OEM said it also increased stiffness with its first ever application of “a floor crossmember that is filled with a highly rigid and lightweight two-part foam material” — something that repairers will definitely want to watch for. Subaru said the new Legacy also shook up the construction of the unibody. 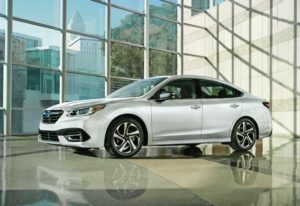 Overall, Subaru said the 2020 Legacy’s body delivers “markedly improved” crash protection compared to the 2019 Legacy — which already was good enough to earn the IIHS’s Top Safety Pick+ gold medal. “(T)he new body absorbs over 40-percent more energy in front/side crashes than the current model,” Subaru wrote. On the chassis front, the 2020 Legacy’s suspension is “all-new” and “lighter, stronger and more responsive, according to Subaru. Subaru engineers worked extensively to find ways to reduce unwanted noise coming into the cabin, fitting the Legacy with new door weather strips that feature a baffle in the mid-section and dual lips on the roof side for improved quietness. Even the weather strip mounting structure was modified to reduce mounting variation and improve sound insulation. Sound-insulated glass, which uses a sound-insulating inner film for the windshield and front-door glass, has been adopted, while glass thickness all around has been increased for class-leading quietness. 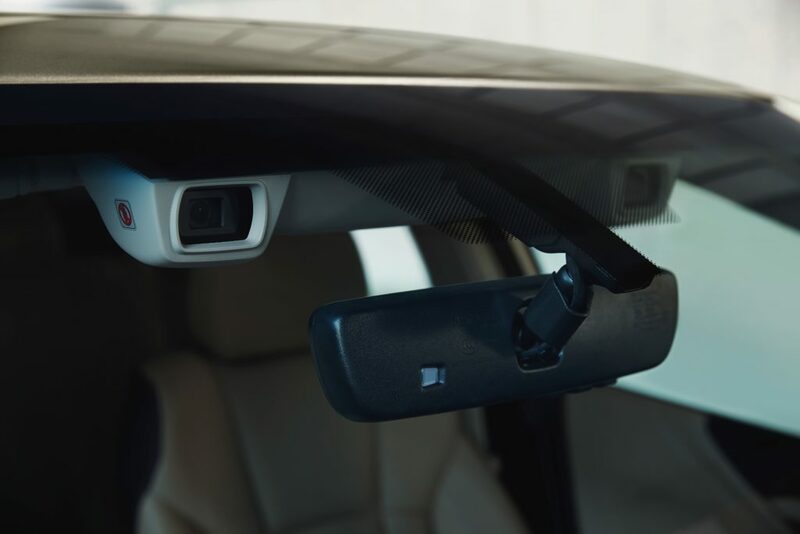 Subaru already warns shops not to use anything other than OEM glass on vehicles with the windshield-facing EyeSight — an ADAS suite which comes standard on the 2020 Legacy. But the sound-blocking capability and thickness of the new Legacy glass adds yet another reason why a repairer might insist on an OEM windshield. Aesthetics: “With larger thickness in profile panel surfaces and a thicker appearance from the raised trunk surface, which has a smooth connection to the C-pillar, the Legacy embodies solid toughness and a dynamic active image.” Also, the fenders are wider. The Touring trim has “chrome plating decorated door handles.” The Sport trim has an exclusive rear bumper and a spoiler. Subaru wrote that the 2020 Legacy “once again leads its segment” in safety technology. It includes the EyeSight suite, which in late 2018 included adaptive cruise control up to 90 mph, autobraking (with full stops up to 30 mph) and lane keeping. The 2020 Legacy’s EyeSight will also add Lane Centering, which works when the adaptive cruise control is active and to adjust the car “when the vehicle veers outside its lane, helping the driver maintain a direct path,” according to Subaru. A driver monitoring system also comes standard on the Limited and Touring XT trims and as an option on the Limited trim. A “Front View Monitor” standard on the Touring XT watches the “blind spots in front of the vehicle” and projects a 180-degree view on the vehicle’s screen. Optional ADAS includes headlights which can automatically steer with the vehicle, reverse autobraking, rear cross-traffic alerts, blind spot monitoring and lane change warnings.